Today smells like ozone, cows, and remorse. That's what I get for living in Nebraska. 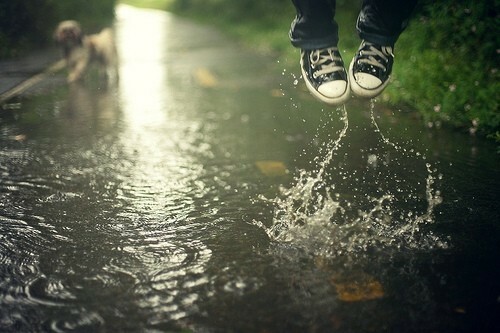 I'm hoping the rain comes soon to wash away the stupid I've been clinging to for so long. Okay, I'm not exactly clinging; I'm just not pushing it away. I just woke up with a bad feeling in my stomach, like the feeling you get when you realize half of your exes are engaged. Okay, not really, but it's one of those punched-in-the-gut feelings which can be very similar to a lot of people. And by all accounts, it has been a good day. I got 3 papers back, and of all of them I'm very comfortable with my grade. I just feel some impending doom lurking overhead, which, of course, makes me a nervous wretch that nobody wants to be around. And honestly, I've hit the point where I just don't want to hurt anymore. I've put up with this for nearly 2 years, and you'd think that I'd have it under control. Oh, the joys of poor health and the literal achy heart. The arrival of the rain has been so prolonged. I just need this symbolic baptism, washing away the old, clearing the way for the new. I'm sick of feeling this way. I just want God to disencumber this area of my life. It's all in His will, though, so I'll continue being patient.